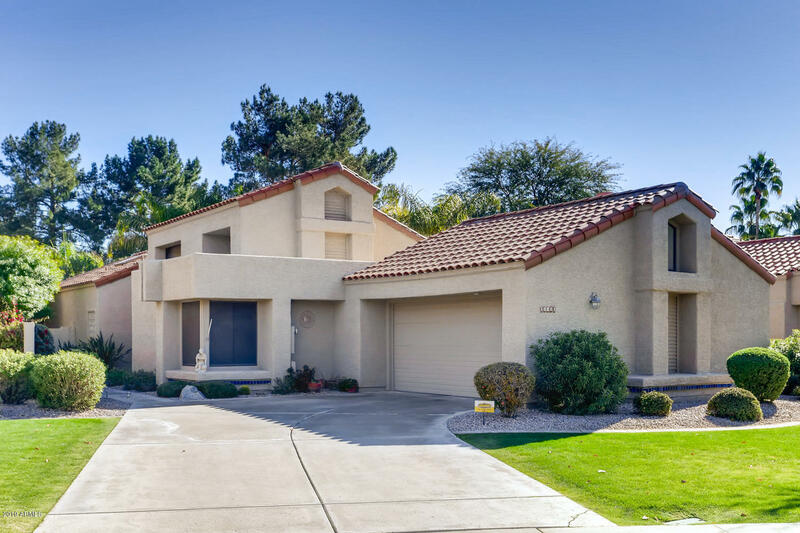 All CASA DEL CIELO AT SCOTTSD homes currently listed for sale in Scottsdale as of 04/23/2019 are shown below. You can change the search criteria at any time by pressing the 'Change Search' button below. "Freshly painted lovely 3-bedroom, 2-bathroom home with many upgrades. 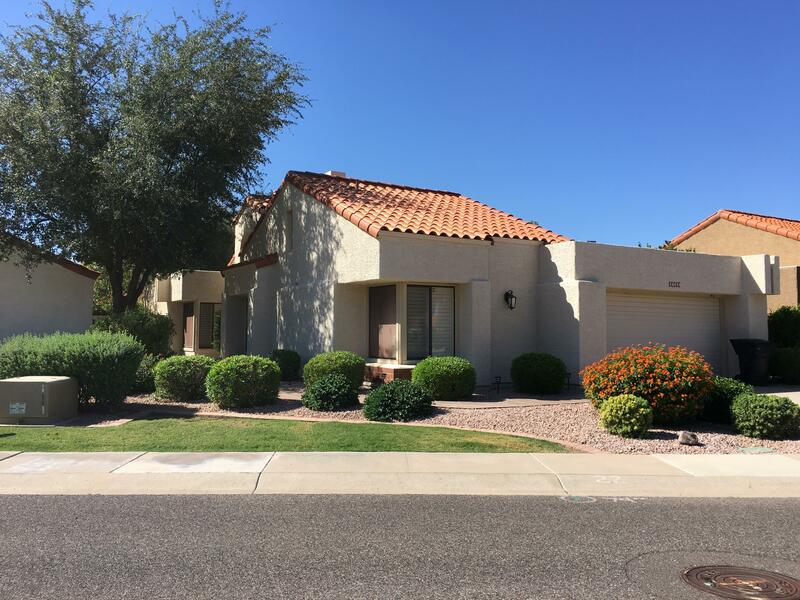 Granite countertops in kitchen and bathrooms, remodeled Master bathroom with walk-in shower, separate dressing table. Two spacious walk in closets in Master bedroom. Wood, tile and carpeting throughout. Shutters and blinds throughout. Newer, energy efficient windows and doors in family room, and front security door. Mirrored wet bar and fireplace in large great room. Backyard features mature citrus trees, pavers, covered pat"
"IGNORE DAYS MARKET!! TENANT NO SHOWINGS TILL APRIL 27 (SATURDAY) SEE BELOW 2017 total REMODEL! INCLUDING PAINTING OF ENTIRE INTERIOR, OPENED DINING AREA TO LIVING 15 FT STACKED STONE FIREPLACE. FRESH CABINETS IN KITCHEN, BARNWOOD ACCENTS ON WALL WITH STAINLESS AND GRANITE COUNTERS. BREAKFAST AREA IN KITCHEN. NEWER TRAVERTINE STONE FLOORS, HAVE NEW GLASS BLOCK SHOWER SURROUNDS AND NEW OVERSIZED TUB IN MASTER 2ND BATH HAS GLASS BLOCK SHOWER Shows Like a Model! The Secondary Bath Features Stone"
"Casa de Cielo at Scottsdale Ranch is a quiet community of 150 homes, located in the heart of Scottsdale Ranch the location brings everything you could ever need. 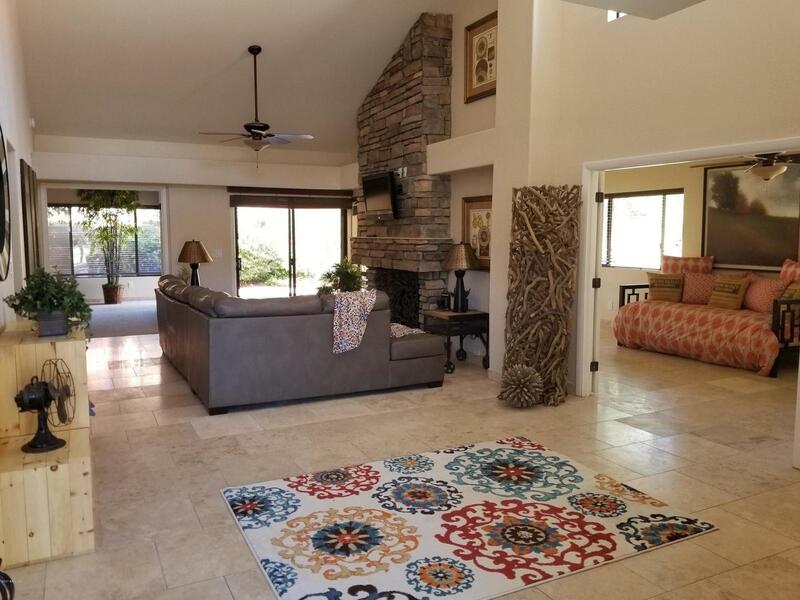 Close to shopping, Sports venues, walking/running trails, greenbelt, fitness center and not to mention a great little coffee shop around the corner. This 2 bedroom home with partial updated kitchen and spacious 3rd room that could be used as an extra bedroom, office, or just a relaxing spot to watch TV, has the feel of home the minut"